Please join us as we celebrate the partnerships that make Hanover County a great place to live, work and raise a family! There are many great events hosting great food, fellowship and plenty of fun! National Night Out is an annual event designed to strengthen our communities by encouraging neighborhoods to engage in stronger relationships though fellowship and partnering with their law enforcement community. “National Night Out allows our officers and citizens and opportunity to strengthen those partnerships that have come to define the Hanover County Sheriff’s Office. We believe strong partnerships create safe communities,” said Colonel David R. Hines, sheriff. 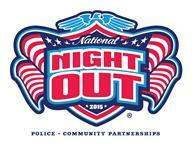 To learn more about National Night Out, please visit: http://www.natw.org/. Please contact Deputy Barry Bland at (804) 365-7116, or by email at [email protected] should you have any questions regarding the Hanover County National Night Out activities.